Orbital Sciences Corporation have revealed their latest financial figures, portraying a very healthy company that enjoyed a successful 2013, while looking forward to a bright future. 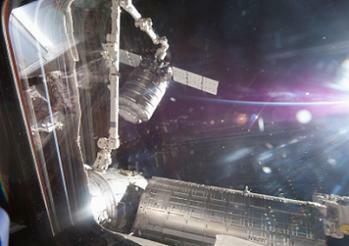 With their new vehicles – Antares and Cygnus – now conducting operational missions in resupplying the International Space Station (ISS), Orbital’s forward path includes billions of dollars worth of orders. Orbital Sciences Corporation have a deep history of not just launching payloads, but building them too. 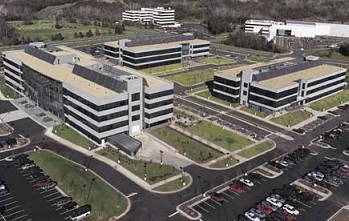 The Virginia-based company has been the developer and manufacturer of small and medium-class Space Systems for the past three decades, serving customers in Commercial, National Security and Civil Government Markets. Many of the satellites that are lofted uphill on various launch vehicles were born at Orbital’s facilities, while a fleet of their own rockets have been busy carrying out missions. The latest financial figures covered the company’s fourth quarter and full year 2013 financial results. For the full year, an array of figures included 2013 revenues showing as $1,365.3 million, while the statement also noted full year free cash flow was positive $17.0 million in 2013, compared to negative $34.3 million in 2012. Orbital’s share price – as of Thursday – was around the $26-27 dollar mark, around 10 dollars higher than it was 12 months ago. “Orbital’s fourth quarter financial results reflected solid growth in revenues, earnings per share and free cash flow, and capped a very successful year in 2013,” noted Mr. David W. Thompson, Orbital’s Chairman and Chief Executive Officer. This highly successful report reflects the successes Orbital have enjoyed during the last year. 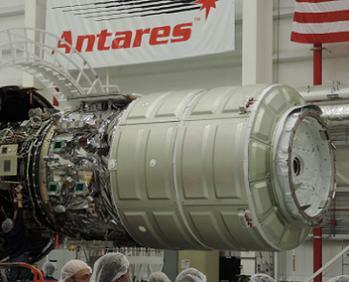 The most publicly recognized successes have involved the opening launches of their new Antares launch vehicle, two of which lofted the first Cygnus spacecraft on their missions to the ISS. The CRS-1/ORB-1 Cygnus is currently berthed on the ISS, following its successful ride atop of the third Antares rocket. This mission was the first Commercial Resupply Services mission for Orbital, under contract from NASA. However, it was the A-ONE debut launch of Antares and the ORB-D COTS demonstration mission that were part of their 2013 results. 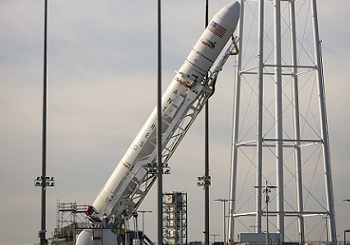 “The company’s operations last year were highlighted by the successful introduction of our Antares medium-class space launch vehicle and Cygnus cargo logistics spacecraft, as we concluded a multi-year research and development program to create these products and set the stage for expanded operational performance in 2014 and beyond,” added Mr. Thompson. Also in the fourth quarter, the company launched its 25th Minotaur rocket for the U.S. Air Force from Wallops Island, Virginia. The Orbital-built SES-8 commercial communications satellite for SES of Luxembourg was also successfully lofted into Geostationary Transfer Orbit (GTO) via SpaceX’s Falcon 9 v1.1. 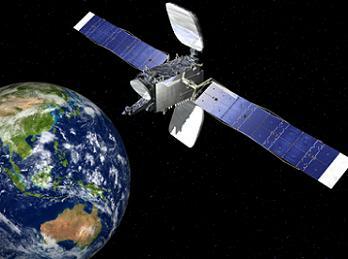 Another Orbital-built satellite – Thaicom-6 – was also lofted uphill at the start of this year. The company also conducted two short-range Coyote target launches for the U.S. Navy, and launched four suborbital research rockets carrying scientific experiments for NASA. For all of 2013, Orbital averaged approximately one satellite or rocket mission, major test event or product delivery to customers per week, making it one of the busiest periods in the company’s history. A healthy order book is always a key factor for any space industry company and Orbital certainly have that in the bank, with quoted figures in the billions of dollars for their forward path. For full year 2013, Orbital received approximately $1.70 billion in firm and option bookings and approximately $640 million of option exercises under existing contracts, per the company release. As of December 31, 2013, the company’s firm contract backlog was approximately $2.15 billion and its total backlog (including options, indefinite-quantity contracts and undefinitized orders) was approximately $5.16 billion. “With new orders and option exercises for 38 major launch vehicles and satellites and other new business wins last year valued at $2.3 billion, Orbital looks forward to a promising year in 2014,” Mr. Thompson added. This year is expected to include up to 60 operational events. With the first of three CRS missions already launched, the company will be involved with the deployment of an Earth science satellite for NASA and commercial communications satellites for Thaicom of Thailand and Hispasat of Spain, as well as numerous launches of missile defense vehicles and smaller research rockets, and product deliveries to customers. The company’s healthy status will also provide a boost to the space industry as a whole, with numerous contracts involving partners such as ATK, Aerojet Rocketdyne, along with other companies both in the USA and around the world. (Images: via L2’s Antares/Cygnus Section – Containing presentations, videos, images – including 100s of mbs of unreleased ORB-D and ORB-1 hi-res photos – interactive high level updates and more. Additional images via Orbital).